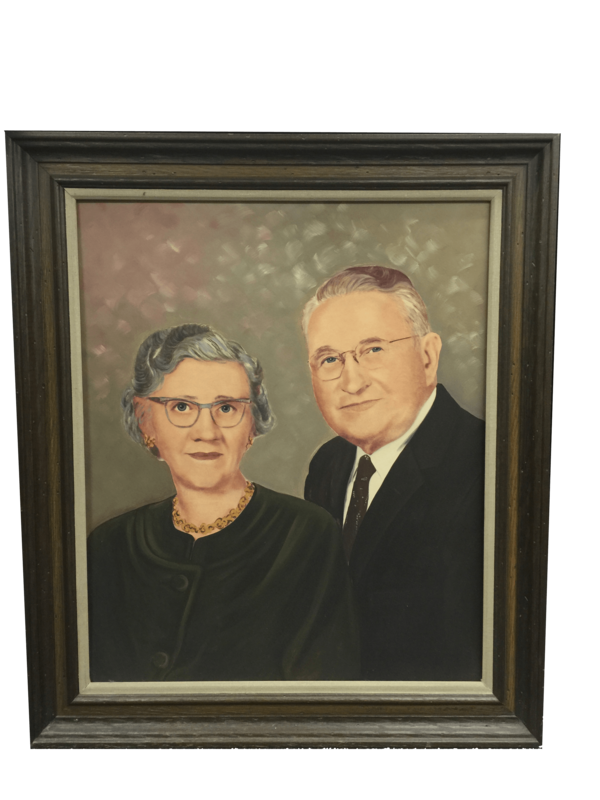 1923 – The company was founded as Eklind Tool and Manufacturing Company in Chicago, Illinois by Swedish immigrants Henning and Ruth Eklind. The company initially performed contract manufacturing as well as tool and die work. 1929 – The company survives The Great Depression which lasted through 1939. 1941 – The United States enters World War II. 1946 – The company began producing an after-market Emergency Brake Signal Light for automobiles, its first consumer product. 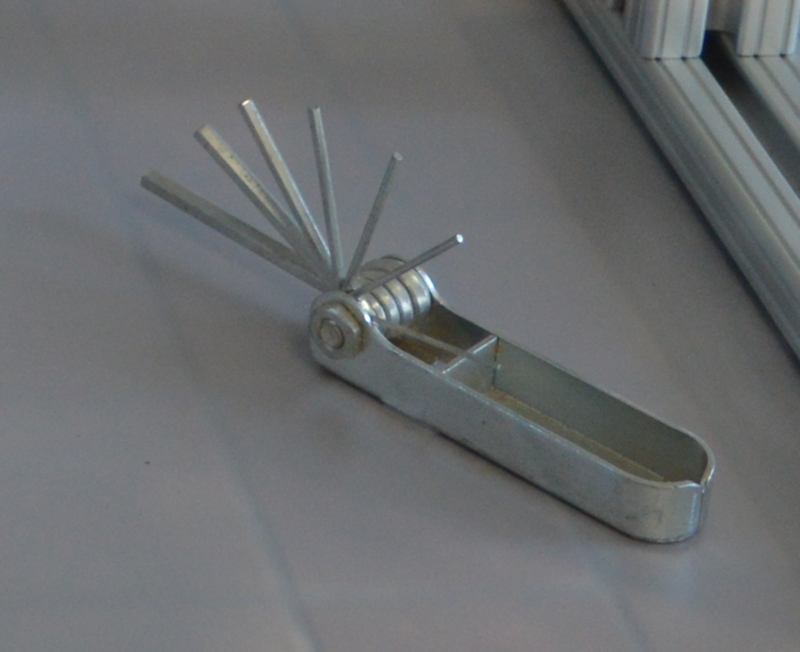 1948 – Henning Eklind designed the company’s first hex key product. 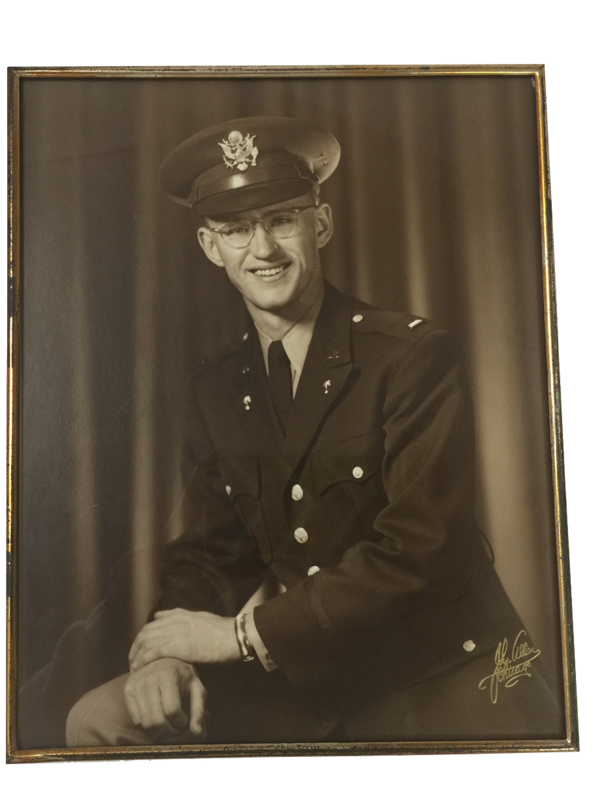 1951 – After his service in the United States Army, Howard Eklind began his career at Eklind Tool, leading the company through his retirement in 2005. 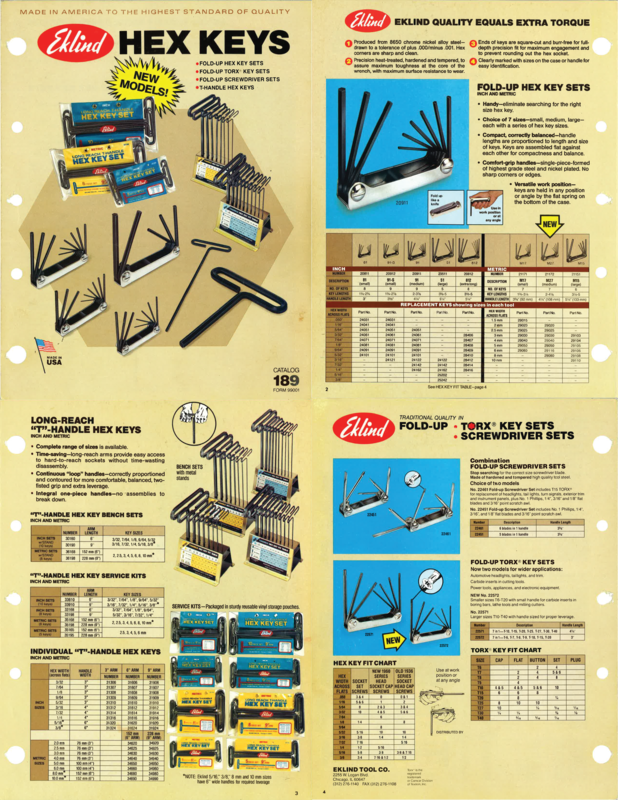 1955 – The company manufactured its first Fold-up Hex Key Sets, a segment of the market that Eklind dominates to this day. 1960 – The company manufactured products for the housewares market, which continued through 1974. 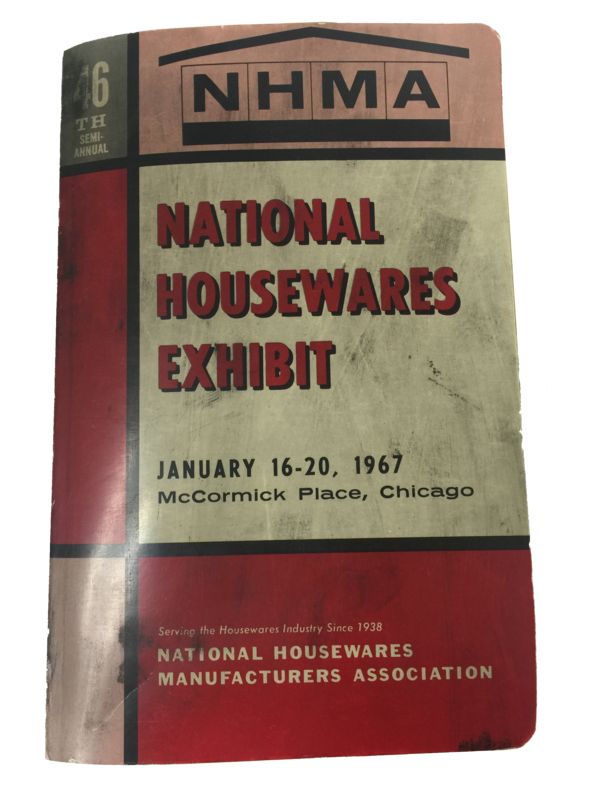 1967 – Eklind was an exhibitor at the National Housewares Exhibit at McCormick Place in Chicago. Its booth was set up the day before the convention center burned down. 1978 – The company moved to a 35,000 square foot facility on Logan Boulevard in Chicago, Illinois. 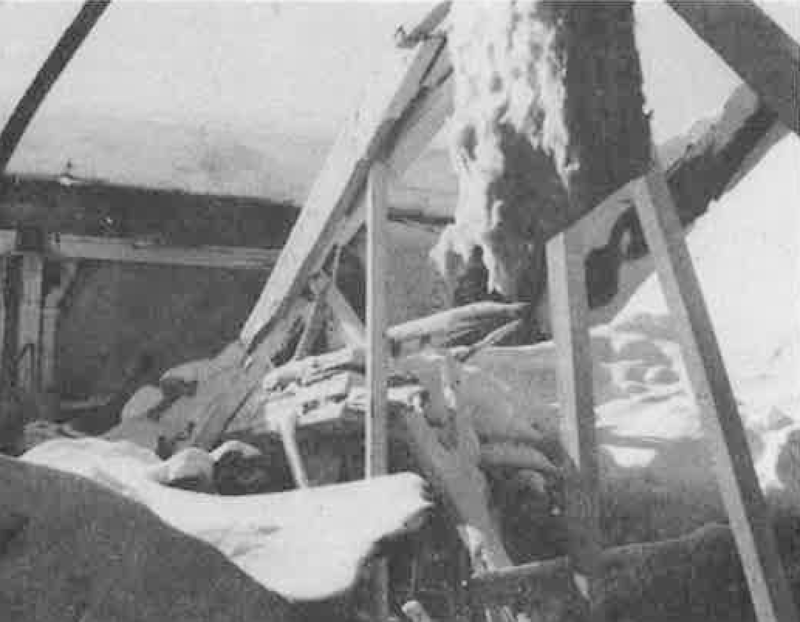 1979 – The company survives the 4th worst snowstorm in Chicago history, which caused the roof of its new building to collapse. 1989 – Here is our catalog from 1989. 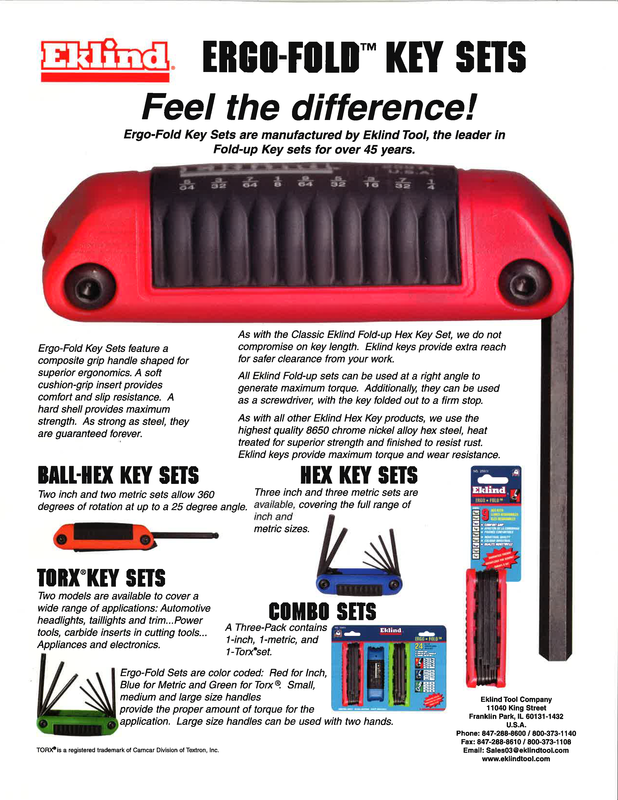 1991 – Eklind adds L-Keys to the product line. Here is our catalog from then. 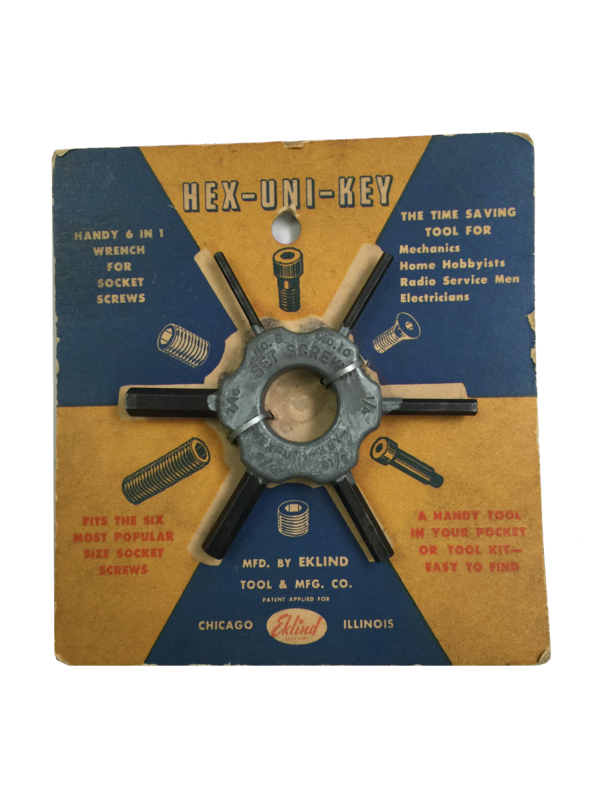 1995 – Eklind adds Ball-Hex tools to the product line. 1996 – The company moved to its current, 110,000 square foot manufacturing facility in Franklin Park, Illinois. 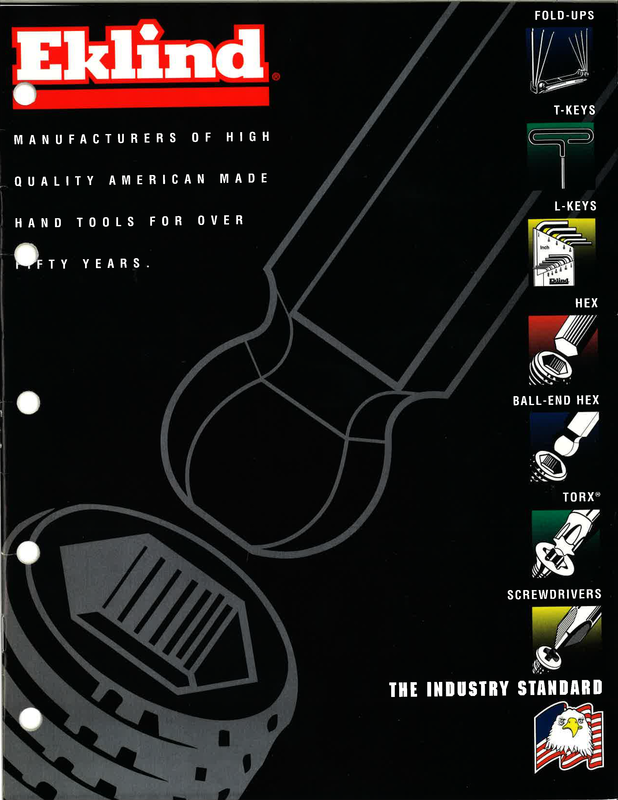 1997 – Here is our catalog from 1997. 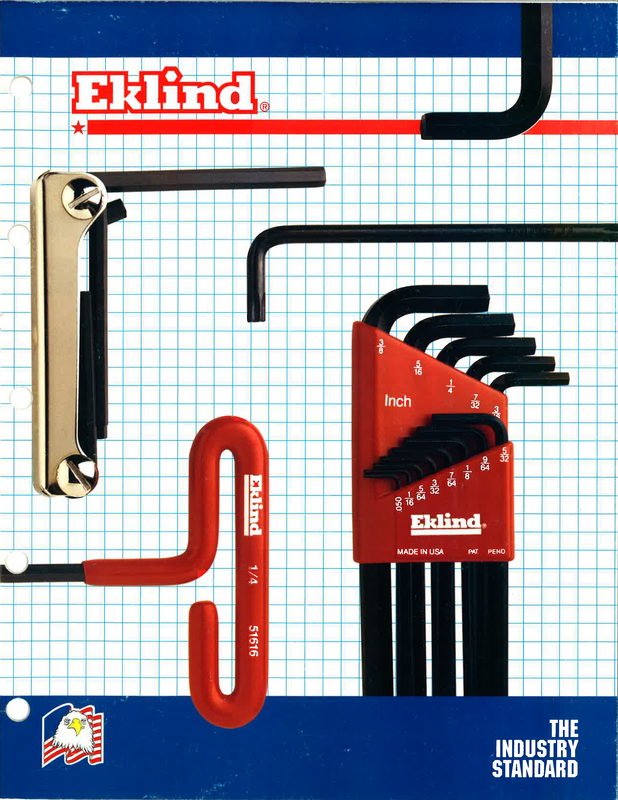 1999 – Eklind adds the popular Ergo-Fold™ series of Fold-up Hex and Torx® tools to its product line. The two material grip provides the user with strength, comfort and safety. 2006 – The company added PSD™, precision screwdrivers to the product line. Designed as the ideal tool for turning small fasteners, these tools feature an ergonomic grip and spinner cap. 2006 – Eklind in-sources heat treatment. 2007 – Eklind in-sources black oxide finishing. 2008 – Eklind in-sources injection molding. 2011 – Eklind in-sources vinyl dipping.